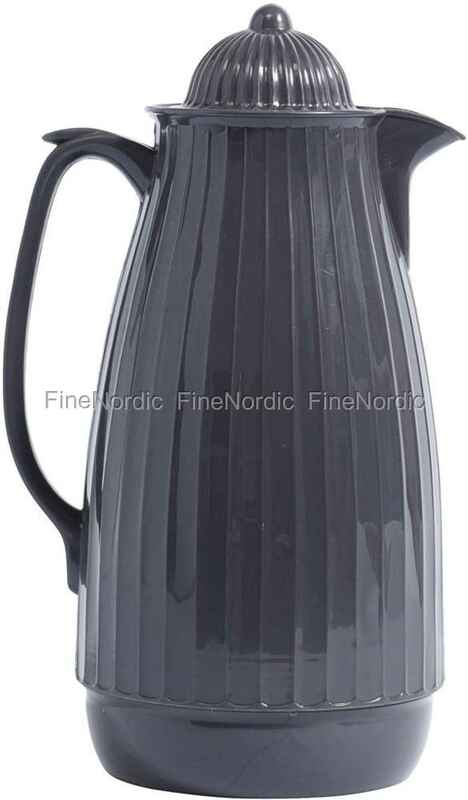 This Nordal Thermos in Grey is very convenient to have when at home or en route. The 1-liter thermos is a wonderful daily companion when you are in your apartment, at work, or on the road. It’ll keep your favorite hot liquid warm and always within reach. The thermos is comfortable to hold by its large handle and the lid screws on and off easily. Take it along for an afternoon at the beach, a picnic in the park or for the long drive to your parent’s home. Depending on how the light hits it, the thermos can have an almost purplish look. It is a wonderful gift idea for a coffee or tea lover.